One of the largest arms of the health industry actually revolves around cosmetics and the maintenance of skin health and function. You see, many don’t realise it, but your skin is the largest organ in your entire body. With this in mind, it does an incredible job of protecting your body from harmful environmental factors such as UV radiation, as well as an abundance of external toxins and chemicals, all while managing to keep what’s meant to be inside the body just that – inside the body. But unfortunately, all this work does take its toll on the skin, often resulting in noticeable declines in skin health and function. With this decline, the development of blemishes and skin spots are not uncommon, which ultimately outlines why it’s so important to look after your skin. With all this in mind, there is an abundance of high quality natural skin care products that have been shown to enhance skin health and protect it from environmental damage – ultimately ensuring your skin quality remains high throughout the entirety of your lifetime. One natural skincare product that has become increasingly popular within the cosmetic industry of late is witch hazel toner. What is Witch Hazel Toner? Witch hazel (scientific name of ‘Hamamelis virginiana’, for those nerds out there) is a type of plant that grows natively throughout North America. This plant has been used for centuries in traditional Native American medicinal practices, where it was suggested to enhance wound healing, help treat infections, and even treat scarred sections of skin. 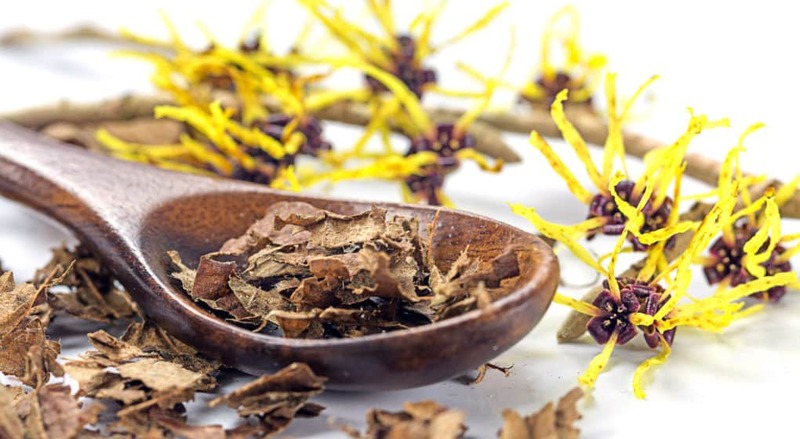 Interestingly, there is an abundance of recent research demonstrating that witch hazel contains key polyphenols that exhibit potent anti-oxidant, antibacterial, and anti-inflammatory properties. Building on this notion even further, these same compounds are even thought to promote cell health and stave off cellular regeneration. All of this ultimately suggests that many of the ancient claims made about this amazing plant have a whole lot of truth behind them. So taking all of this into consideration, the addition of witch hazel into skin toners has become commonplace, where it has been suggested to cause huge improvements in skin health and skin quality. What are the Benefits of Witch Hazel Toner? Given the claims made about this incredible natural product we wanted to take an objective look at the research surrounding it to determine how effective it truly is, and where its most useful applications lie. Can witch Hazel Toner Help Heal Skin Blemishes? Given the interesting properties that witch hazel exhibits, it has been suggested for a very long time that has the potential to improve skin blemishes, such as sun spots, acne scars, and environmentally damaged sections of skin. Interestingly, there is evidence to suggest that its topical application to skin blemishes can cause large improvements in the health and quality of those damaged sections of skin. This suggests that witch hazel toners can assist decrease the visibility of skin blemishes in a very big way . 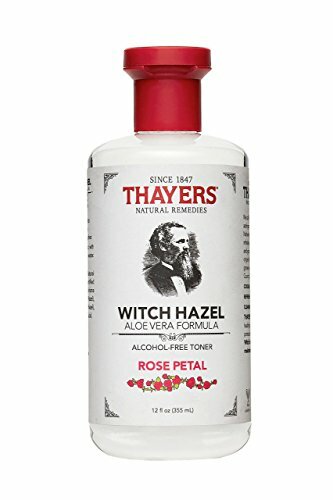 Does Witch Hazel Toner Help Acne? Acne is one of the most commonly occurring skin disorders known to man. Negatively affecting both the hair follicles and oil glands of the skin, acne results in the production of large painful pimples and irritated sections of skin . Fortunately for us, the application of witch hazel has been shown to kill many of the harmful bacteria responsible for the spread of acne. Combine this with its ability to improve the health of the skin pores, and witch hazel toners have been shown to act as a potent and effective acne treatment . Can Witch Hazel toner Treat Skin Wounds? Combined with its impact on older skin blemishes and acne, witch hazel has also been show to exhibit a positive impact on skin wounds, such as scratches, open sores, and open pimples. You see, some of the key compounds found within witch hazel have been shown to reduce the activity of certain enzymes found on the skin that impair wound healing. As a result, the application of witch hazel toner to wounded sections of skin can promote wound healing and skin cell regeneration . Can Witch Hazel Toner Help Treat Sunburn? And finally, as a direct result of the anti-inflammatory compounds founds within witch hazel, it also has the ability to help treat sunburn. With this in mind, the application of witch hazel to sunburnt skin has been shown to enhance skin healing, reduce inflammation, and limit the severity and duration of that sunburn . As such, the application of witch hazel toner to sunburnt skin offers an excellent way to reduce its severity and increase its healing time. Given the incredible effects that witch hazel toner can have on skin health and quality, we wanted to give you some great options that you can begin to implement immediately into your normal skincare regime. 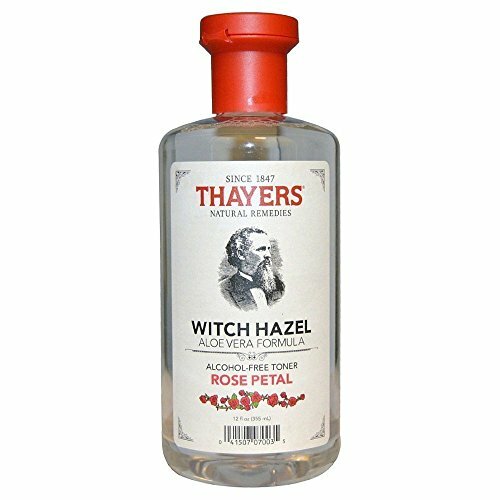 When it comes to seriously good quality witch hazel toner, it’s very hard to look past this option by Thayer’s. This is without a doubt the most popular option on the market at the moment – and for very good reason too. Providing you nothing but pure with hazel combined with rose petal extract, you have literally everything you need to boost skin health and function, and treat skin blemishes. Sometimes when it comes to skincare products, those that are the simplest are also the most effective – and this is the exact premise that Dickenson’s with hazel toner is built around. Using nothing but 100% completely natural witch hazel, they have a created an extremely simple and highly potent skin toner. 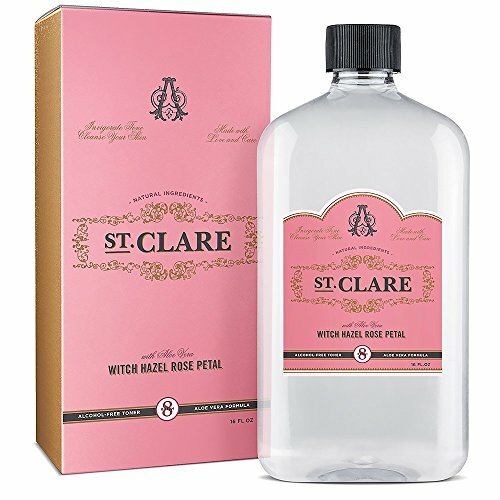 This particular option by St Clare is quickly beckoning one of the most talked about on the market. Applauded for its high quality ingredients, it has been shown to work time and time again – you really can’t go wrong here. With this in mind, we have provided what we believe to be the best three with hazel toners available at the moment. As always, if you have had any experience easing witch hazel toners then we would love to hear about it, so drop us a comment and we will get back to you ASAP.